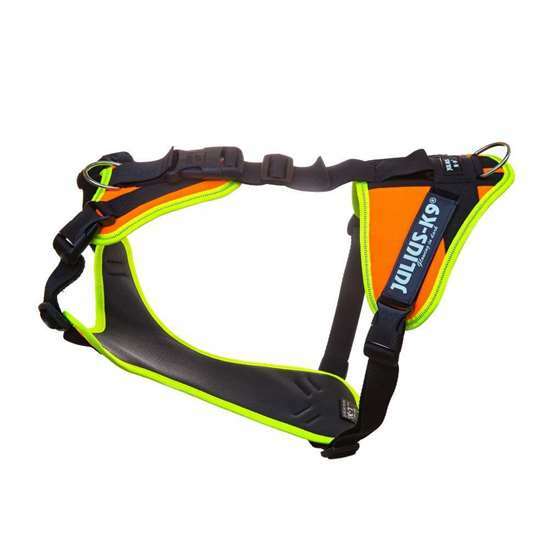 Julius-K9 ® Mantrailing, Outdoor dog harness - L/XL - Las Vegas K9 Inc. It is expressly developed for mantrailing and for doing sports when the dog is pulling the owner who is holding the leash. The superbly fitting harness provides max comfort for your dog when s/he makes great effort pulling you. The reason why it is more comfortable than a leash is that load is spreaded on the chest instead of the neck. The adaptable fastening of the leash spares both your and the dog's joints, which is especially useful when the doggie suddenly tugs you. When choosing the proper size you need to take into consideration that it's not only the weight that matter. For instance based on your dog's weight only you should buy a harness of size M, but if the dog's body is longer than avarage maybe it's better to order a harness of size L/XL. When putting on the harness you may stand over or next to your dog. You just simply get its head into the harness, then lead through the lower part between the forelegs and buckle it to the back part. If your doesn't seem happy about the part when you get the harness on it throught he head, then don't pressure it. This step can be replaced by unbuckling the clip on the neck part. This type of harness is unfit for lifting the dog with the handle on it! 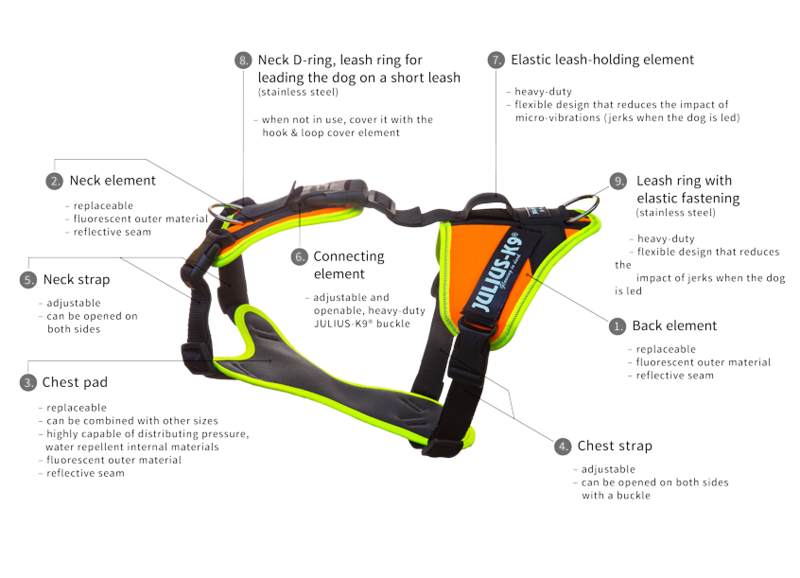 Keep in mind that this harness was made for mantrailing and for sport activites when the dog is pulling its owner!